Pre-Construction. To be built. Resort-style and maintenance free living in a country club setting! 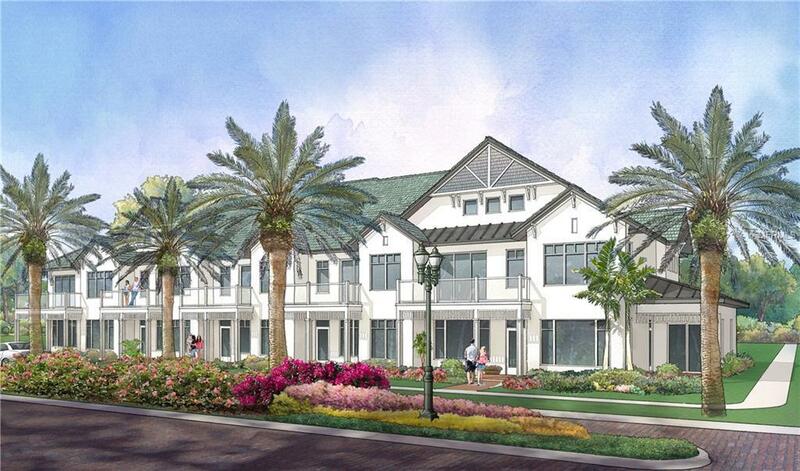 St. Petersburg-based JMC Communities is building Belleview Place, an enclave of luxury Florida carriage homes on the historic site of the Belleview Biltmore Hotel in Belleair. Adjacent to the renowned Belleair Country Club, the gated location offers the most gracious of lifestyles, with amenities including a resort pool and spa, fitness center, and social gathering areas. Minutes from Clearwater Beaches, yet tucked away from the traffic and congestion, this end unit townhouse-style home has a private elevator, 10'8" ceilings, and attached double car garage, and a light filled den. This unit includes one master suite on the ground floor with a large walk in shower with a seat and another on the second floor with a private terrace. Personalize to your preference: choose your wood flooring in the main living area, cabinetry, granite or quartz counter tops throughout, and so much more! Natural gas for your kitchen cook top, dryer and hot water system, Jenn-Air stainless steel appliances, built-in oven and microwave are included. Quality construction, triple-pane laminated and insulated casement windows and sliding glass doors, LED lighting throughout. No flood insurance required! Hurry in for best selection. Construction will start soon for completion in early 2018! Additional Lease Restrictions Minimum Lease Term Of 12 Months. Pet Restrictions No Reptiles Or Wildlife. No Maximum Weight Limit On Pets. Listing provided courtesy of Jmc Realty Inc.